On Wednesday, April 25th 2018 I am going to talk about explainability of machine learning models at the Minds Mastering Machines conference in Cologne. The conference will be in German, though. ERKLÄRBARKEIT VON MACHINE LEARNING: WIE KÖNNEN WIR VERTRAUEN IN KOMPLEXE MODELLE SCHAFFEN? 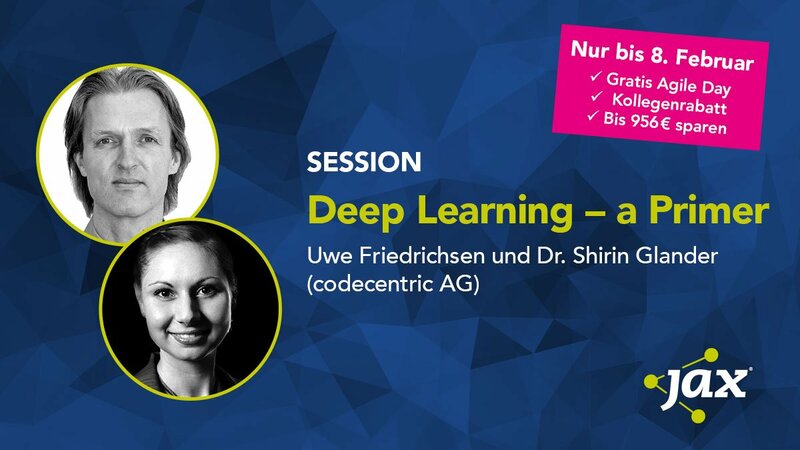 Mit Machine-Learning getroffene Entscheidungen sind inhärent schwierig – wenn nicht gar unmöglich – nachzuvollziehen. Die Komplexität einiger der besten Modelle, wie Neuronale Netzwerke, ist genau das, was sie so erfolgreich macht. Yesterday and today I attended the data2day, a conference about Big Data, Machine Learning and Data Science in Heidelberg, Germany. Topics and workshops covered a range of topics surrounding (big) data analysis and Machine Learning, like Deep Learning, Reinforcement Learning, TensorFlow applications, etc. Distributed systems and scalability were a major part of a lot of the talks as well, reflecting the growing desire to build bigger and more complex models that can’t (or would take too long to) run on a single computer.